Goal Profits Review – does it work? 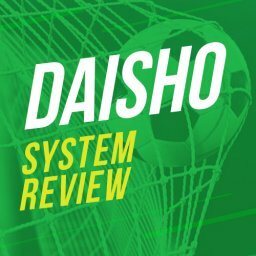 Home Betting System Reviews Goal Profits Review – does it work? Betting on football matches can be tremendous fun but can it also be profitable? Whether you are an avid footie fan or not, this is now something that is worth looking into. The arrival of betting systems has opened up interesting new possibilities for earning money. In this article I’ll be doing a full Goal Profits review. These systems are usually based on mathematical strategies rather than your football knowledge. It doesn’t matter whether you can name the current Manchester United starting XI. You don’t need to know what Chelsea’s home form is like either. Well, that’s the theory at least. Sites such as Goal Profits promise you the chance to win money with very little risk. They call themselves a Betfair Football Trading Community. They also say that they are passionate about football and profits. So, can this approach really work? I decided to carry out a full Goal Profits review to find out what they offer. What does it cost and how much can you expect to win in this way? As mentioned earlier, this is a football trading system. But what does that really mean? 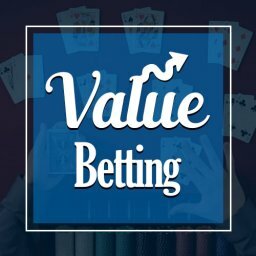 Is it a type of betting like any other? To get started, it is important to understand what football trading is. This isn’t about betting on your favourite team. You don’t use your gut feeling about who is on form and likely to win. Instead, it is like any other type of maths-based betting that relies heavily on statistics. With this kind of bet you are aiming to take a lot of the risk out it. You are attempting to place a bet that you know will make you money no matter what happens. It isn’t matched betting, which has no risk. However, it can be classed as low risk. 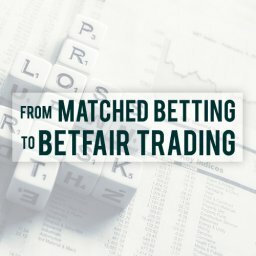 The work is done by trading on a betting exchange such as Betfair. The basics are really quite simple, to be honest. The Goal Profits system will tell you which bets to place. You then need to follow the instructions and place that exact bet at the price mentioned. Some of the bets will also be time-limited, as you might need to grab the right price during a game, for example. In this way, you will bet on a certain outcome. It might be on the result, it might be on the half time score etc. There are a number of different strategies covered here. It all sounds very simple, doesn’t it? So why do you even need a system like this in the first place? Well, the tricky part in this strategy is in finding the right games to bet on. You also need the numbers to stack up in terms of how much you wager. This is what takes up a lot of time. It also needs to be done in a highly analytical, structured way. The truth is that most people can’t do this on their own. Whether due to a lack of time or lack of expertise, they need a helping hand. Therefore, what Goal Profits does is tell you what games to bet on and at what price. This means that you can, in theory, find the right bets quickly and easily. 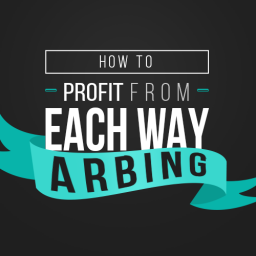 The next part of this Goal Profits review will look at what you can expect to pay for joining the service. Of course, when considering the price we also need to take into account the expected profits. A huge level of profits justifies a higher fee. The site offers free resources to get you started. Sadly, there is no free trial period on their main services, though. The site owners quite sensibly point out that they would be unable to support all of the new members that this would involve. Therefore, the only way to start trying to make good profits is by signing up and paying the fee. At the moment, there are 3 ways of doing this. You can pay monthly, quarterly or annually for the service. Each of these gives you immediate access to the tools provided to get started on placing bets. The main difference is that the longer the period you sign up for the lower the cost is overall. The monthly membership scheme has a fee that is set at a cost of £37 each month. If you opt for a quarterly plan then it works out slightly cheaper at £99 per quarter. The annual fee is £365. If you aren’t sure about this service then the monthly option makes sense. If you are convinced already then paying the annual fee saves you some money. As we can see, none of those options is particularly cheap. So, what do you get for your money? You get the same access with any of those packages. There is also a money back guarantee. You are advised to get in touch if you pay for it and aren’t completely satisfied. Naturally, you need to be sure that you are going to actually use the service before you pay for it. The free offer can help out in this way. If you find it exciting and use it a lot then this is a good sign that it may be worth paying for full access. The first thing that you get is access to a basic introduction. This is followed by 16 weeks of training. That sounds like an awful lot of training, doesn’t it? Is it really necessary to spend all this time learning the ropes? It is important to remember that there is a lot of learn. Of course, some people pick it up faster than others. However, you should definitely plan to spend some time on the training at the beginning. Part of the reason that you need to so much training time is that Goal Profits gives you 16 different trading strategies. These include correct score strategies, matrix systems and lay the draw at half time strategies. Ideally, you will feel comfortable using all of them at different times. This means that you can choose from a rich variety of approaches. However, it also means that you need to learn a lot before getting started. Membership also comes with access to a lively community. You get to join a chat room and a support forum. 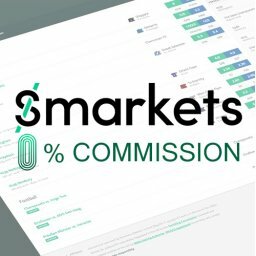 In here, you can exchange ideas and get advice from successful traders. There are also mentors available. Customer support comes via live chat and email. You also get access to proprietary tools that let you research and analyse huge amounts of information very easily. Most importantly, you get a selection of daily trades to choose from. These are taken from over 60 leagues in different countries. This means that you always have something to bet on. The truth is that this product has changed greatly in recent times. It used to be a very basic service. Now, it has advanced team statistic software that makes it stand out from the crowd. The good news is that getting started is easy, although time-consuming. As mentioned previously, you can start off with the free tips if you prefer. Once you decide to pay for full access then you can start betting immediately if you want to. Otherwise, you might want to get some training before laying any bets. However, given the fairly high fees involved for signing up you will want to start making money. The sooner the better. The forums are where you will find a lot of the suggested trades being mentioned. In some cases, you might feel comfortable betting right away. With others, you might feel more confident doing the research before getting involved. A big help is the fact that you can watch videos of trades being carried out. This lets you get to grips with the full process from start to finish. You can then either join the forum when the owners of the site post or else read their posts later on. How much money do you need to get started with? This is important, as you can’t just assume that the only money you need is the cost of the subscription. Instead, you need a fund to start trading with. The Goal Profits site recommends that you start with a minimum of £500. Having said that, they say that £1,000 is preferable. They suggest that you start off gently with small bets, though. 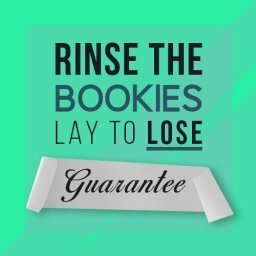 It is worth repeating that this isn’t risk-free like matched betting. You should win more than you lose. 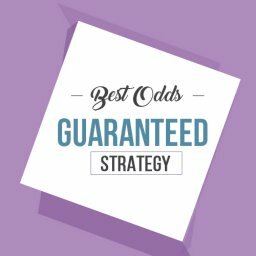 But these bets aren’t guaranteed winners as it the case with matched betting. You could lose money, especially if you don’t do it right. Indeed, the guys behind this site suggest that you use matched betting as well as this. They call it a good way to build up your funds in order to enjoy their strategies. Unlike with some other betting systems, the people behind Goal Profits keep a fairly low profile. They are named Steve Brown and Kevin Laverick. If you join up you will see them posting in the site’s forums regularly. They call themselves “a pair of football-mad tipsters”. 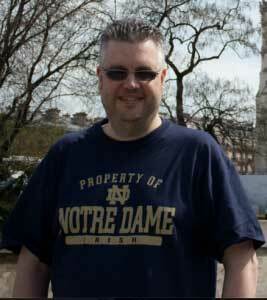 Steve created the site in 2011. He is a Bournemouth fan who once gave up his job. He then unsuccessfully tried to make a living as a gambler. Things took a turn for the better when he won a tipping competition and then started up this service. It has been a long road from there and their site lays out the different milestones they have achieved. As for Kevin Laverick, he says that he was one of the first football traders to join Betfair. A lifelong football fan and gambler, he too lost a lot of money before. This was when he first tried to gamble for a living. He soon discovered that he needed a better strategy. Kevin discovered all about trading strategies and began to turn his luck around. He then began offering tips on a number of sites as he discovered that his strategies worked. The guys met in 2010 and worked together to build the Goal Profits site. Together, they have built up this impressive service little by little. The photo above is Steve Brown, owner of Goal Profits. As you would expect, it is easy to find a Goal Profits review or two online. The popularity of this system means that many people are keen to find out more about it. The reviews tend to praise the thoroughness of the system. The amount of statistics that they have crammed in is definitely impressive. However, the reviews also tend to point out that there is a lot of hard work involved. You can’t really call this system a shortcut to success. You will need to invest a fair amount of time into your research in order to make money with Goal Profits. As for the results, it is reassuring to see that the reviewers all seem to have made some money. On the other hand, some reviewers feel that the return is fairly low for the time that is required. Even the official profits made using the exact strategies suggested tend to be lower than some people hope for. If you miss out on some bets or make a mistake then will push profits down further. The welcoming community is praised and overall the comments are typically positive. Yet, it doesn’t get more positive reviews for a reason. This is mainly because of the lower than expected profits for reviewers. There is no doubt that the guys behind the site have worked hard to make it easy to use. The layout has been well thought about and the support on offer is excellent. However, perhaps the biggest mistake that people make is to expect an easy time. The truth is that Betfair trading in general is hard work. If it was as simple as some people think then everyone would make a fortune with it. You will get all of the help and support that you need when you sign up to Goal Profits. Having said that, you need to put in the effort as well. An hour or two a week simply isn’t enough. There is something incredibly satisfying about winning bets in this way. The time that you put into research will feel like time spent when you win money with it. It isn’t easy but everything that you need to know is made available to you. 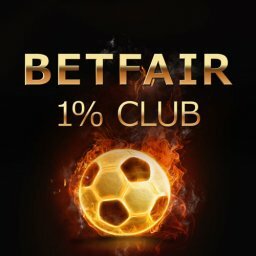 I’ve written a guide about proven Betfair football strategies that work which features Goal Profits. The Goal Profits site makes a convincing case for anyone giving this a try. They make it clear that it doesn’t matter if you are a newcomer or an experienced trader. Indeed, they point out that some people use the system purely for their statistics. These people then use the stats to implement their own strategies. Having said that, it seems that there are certain types of people who are likely to be attracted to this site. We first of all need to take into account that you need to dedicate a fair bit of time to it. This means that it can be tough if you have a full time job or busy lifestyle. You can’t expect to start winning a lot of money right away with no effort. The fact that it is relatively expensive might also put some people off. Especially when you need to have a betting fund as well. Bearing all of this mind, who are the ideal members? It is no surprise to see that they mention a lot of their members being of a mature age. This seems like a good system for someone who is retired. They should have enough time to really make the most of it. 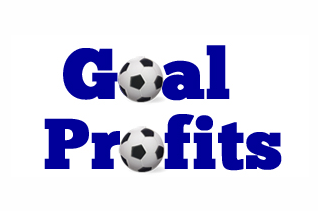 Goals Profit offers a good, sensible way of making money from football betting. As a way of increasing your income it is worth taking a look at. However, it most definitely isn’t a get rich quick scheme. This Goal Profits review has revealed an overall positive experience. It isn’t without its issues and drawbacks but there is definitely a lot to recommend it as well. The strengths of this approach include the excellent statistics and the strong community feel. You can very quickly get immersed in the strategies in this way. If you start off with any doubt then the support and forums will help dispel them. As for the negative aspects, there is the fact that it requires a lot of your time. Many of us simply don’t have the time needed to use this system as much as we would like to. This is why it is likely to appeal to certain people. Such as those who are retired and want to boost their pension. Equally, it is important to be realistic about how much can be won in this way. If you go into this expecting to win a fortune then you run the risk of being disappointed. Instead, you should look on it as a low risk way of getting an extra income. Goal Profits probably isn’t right for everyone. However, you can make money and have some fun if you do it in the right way. I’ve had a goal profit sub. I can’t find a shred of evidence that it makes money. The GP forum is dead as a dodo, with zero success stories in it’s archives. Likewise, trawling hundreds of review pages, there isn’t a single comment of anybody making money. GP started up in 2010, 8 years later and still nothing. 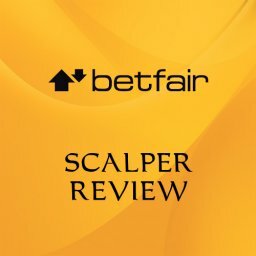 One review website tarts GP with the “best betting system” award every year, yet no users commenting on their performance. If this was a genuine Betfair system, GP users would be screaming from the roof tops to all in sundry. I don’t believe successful users keep it to themselves. The jury is out on GP. I’m not convinced anybody is cashing in except the affiliates recommending it. That doesn’t means Goal Profits isn’t a genuine product. It’s a good site for people starting with football trading.